Want to see us get some sacks this time. Want Sam to come out on fire, they have a good front 7 and Safties but their CB’s aren’t the best. 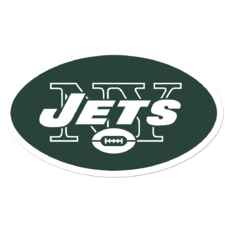 Excited to see Darnold with another weapon in Kearse. It’s very hard for defenses to contain Anderson deep, Enunwa’s physical play, Kearse’s crisp route running and Pryor’s size when they’re all on the field together. Add Powell out of the backfield and this is a formation of like to see us use a ton today. Too many weapons for a defense to contain. Get the ball out fast and get Sam rolling. On defense it’s simple contain Drake runninga nd passing and Stills deep and we should be good. Very unlikely we repeat a defensive turnover performance... but that doesn’t mean we can’t still look good. Roberts I wasn’t a fan of keeping around bc of his age. But he keeps playing like he did week 1... he’s a huge asset is ST.
and that’s how you lose close football games.